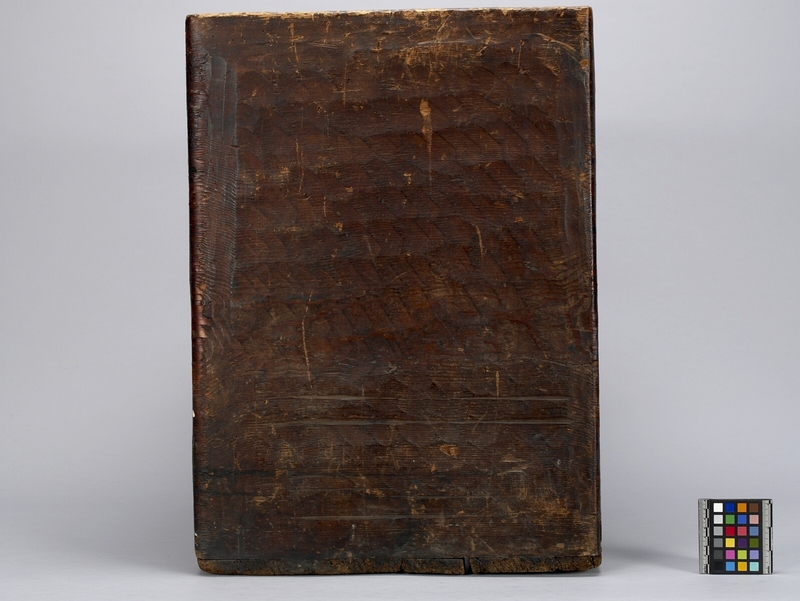 Item number A3581 from the MOA: University of British Columbia. 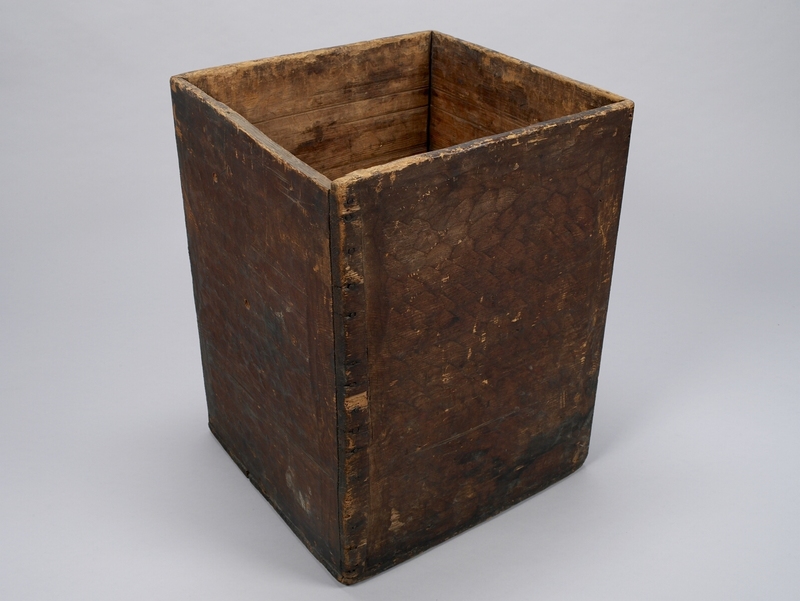 Bentwood box with sides decoratively adzed in rows. Storage box. 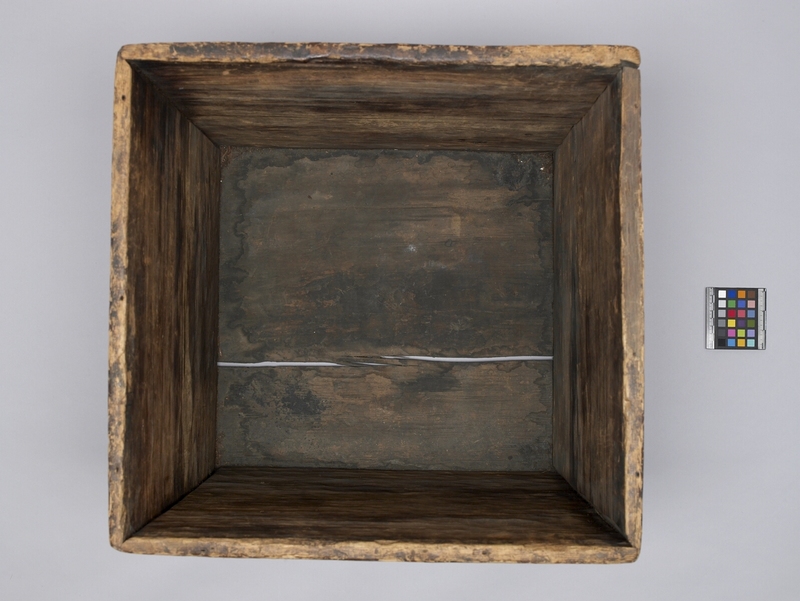 Bentwood boxes were used primarily for storage of food, implements, clothing and valuables. They were also used for cooking and serving food. They sometimes served as furniture or room dividers. They were also used as trade goods or gifts, and were symbols of wealth and prestige. Boxes used for ceremonial purposes were usually more highly decorated than those for everyday use. Bentwood, or kerfed-corner, containers are constructed by a process unique to the Northwest Coast Aboriginal peoples. The carver begins with a single straight-grained plank of red cedar, or sometimes yellow cedar, spruce, or yew. 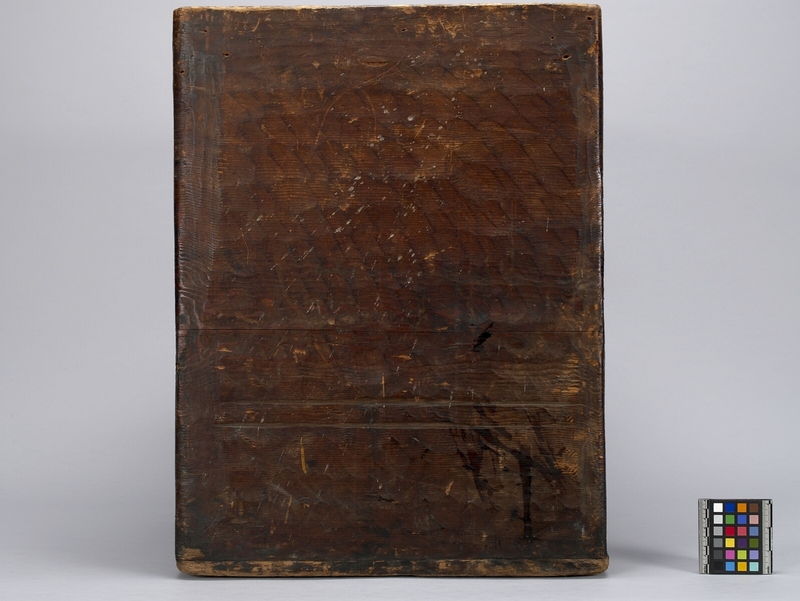 The surface of the plank is finished with chisels, adzes, and knives; in earlier times, it was smoothed further with sandstone or dried sharkskin. Then three parallel kerfs, or grooves, are carved out at measured points across the width of the board, at right angles to the long edge. The kerfs, which will become three corners of the box, allow the board to be steamed until the wood fibres are softened, and then carefully bent to form a box with symmetrical sides. The final corner, as well as a fitted base, are joined and fastened with pegs (through drilled holes) or laced with spruce root or twisted cedar withes (branches). Storage boxes also have fitted lids of cedar, hollowed from the inside. Finally, painted compositions may be applied to the completed box and shallow carving added to bring the forms into relief. A well-made bentwood box is watertight. Historically, most boxes were used to store preserved foods and material goods; plain cooking boxes could be used to steam or boil food by adding water and heated stones.